From driving in rush hour to taking a trip to the lake and everything in between, the 2019 Tiguan can do it all. The fold-down rear seats create up to 73.5 cu. ft. of cargo space for transporting bulky items. The Tiguan allows you to switch between 4 driving modes, including Snow, On-Road, Off-Road, and Off-Road Custom. Available with a digital display that replaces a basic instrument cluster, this vehicle lets you view trip information and navigation menus right behind your steering wheel. 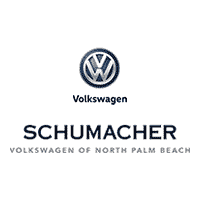 Visit the showroom at Schumacher Volkswagen in North Palm Beach, Florida, to see it in person.